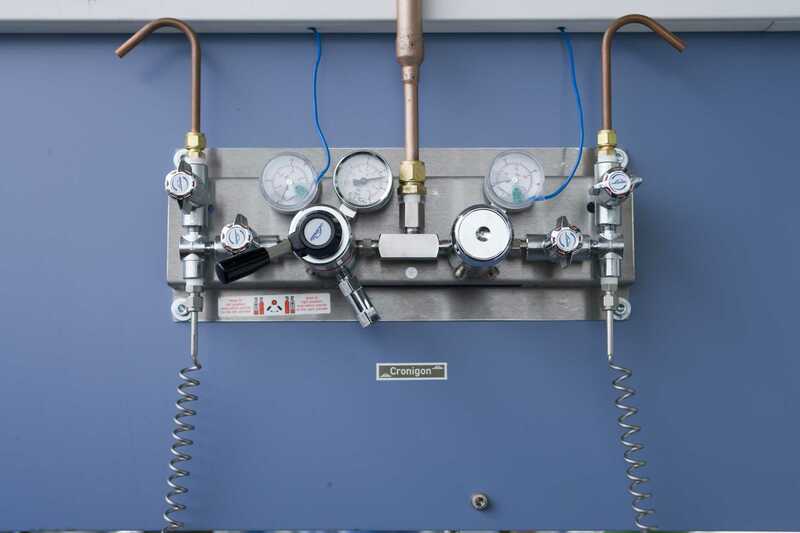 Gas panels are used in central gas supply systems for reducing the high primary pressure in the cylinders to more manageable secondary pressures. Gas panel is the place where the cylinders are changed, etc. It can be considered the heart of the central gas system. Semi-automatic panels handle two cylinders/bundles at a time. When the pressure at one side (the primary side) reaches a pre-set value the manifold “switches” to the other side. This means that it is possible to change the gas cylinders without interrupting the gas flow. After the cylinders at the primary side are changed the handle is turned, thus changing the secondary side (delivering the gas) to the new primary side. It is possible to create a fully automatic manifold, with either electric or pneumatic valves, but since the cylinders have to be changed anyway the cost is rarely justified. 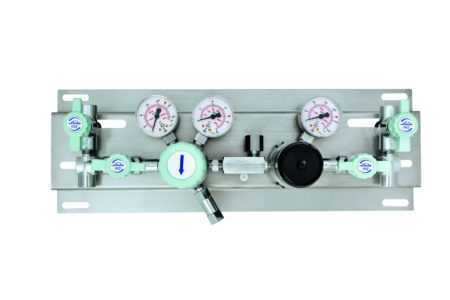 A 208 is a semi-automatic gas panel de signed for uninterrupted gas supply. Switch-over be tween the two connected cylinders or bundles occurs when the pressure of one side (the primary side) falls below a preset pressure level. This is achieved by two integrated regulators (factory-set to slightly different delivery pressure levels) which are connected at their outlet ports. 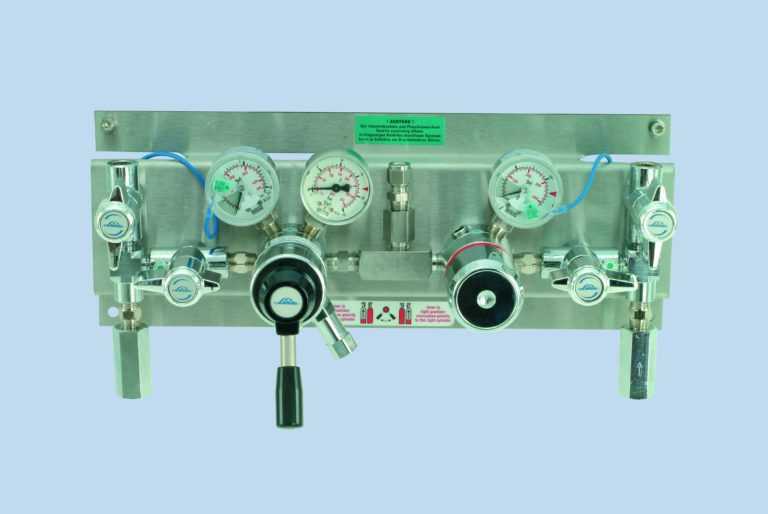 A 209 is a semi-automatic gas panel de signed for uninterrupted gas supply. Switch-over be tween the two connected cylinders or bundles occurs when the pressure of one side (the primary side) falls below a preset pressure level. 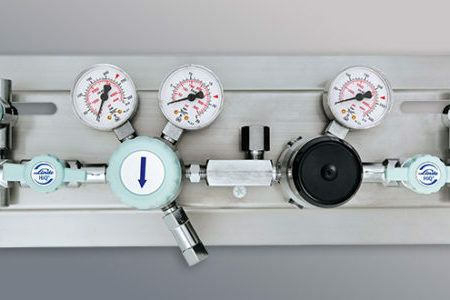 This is achieved by two integrated regulators (factory-set to slightly different delivery pressure levels) which are connected at their outlet ports.